RTI’s Center for Data Science (CDS) seeks a talented Front-End Web Developer to be based in Research Triangle Park, NC. We are seeking individuals with experience building and deploying applications in at least one modern open source web framework, such as React, Angular, or Backbone, and expertise in building data visualizations. It’s just as important that you be willing to learn, are inquisitive, and flexible. The successful candidate will be comfortable working with a growing team of RTI data scientists and domain experts to implement web-based analysis and data visualization platforms across a wide variety of fast-moving projects. The mission of the Center for Data Science is to advance and support scientific research conducted at RTI in many different domains. Our goal is to solve problems and inform decision-making through innovation, collaboration, and technical expertise. We extract, merge, analyze and visualize historic and real-time data from a heterogeneous sources to make predictions of future events, inform decisions that will lead to optimal outcomes, and classify new observations that can guide actions and target interventions. The successful candidate will work with a growing team of RTI data scientists and domain experts on government, foundation, commercial, and internal analytics projects. We take our mission “to improve the human condition” seriously and seek staff who resonate with it. The ideal candidate will possess a clear understanding of user interface design, interaction design, information architecture, and user experience design for the Web and mobile devices. Activities may involve the use of commercial software, open source software or RTI-developed software tools. Developers with a broad skill set will be ideal candidates to address the technology needs of a diverse project base. *Equivalent degree is defined as high school diploma and 6 years of technical work experience. **In your cover letter or resume, please include links to a portfolio of your work and/or code samples, if they are publicly available. Experience interfacing with APIs to web services, such as: Twitter, Facebook, etc. The Research Triangle Park (RTP) is centrally located from Raleigh, Durham, and Chapel Hill and is consistently rated one of the best places to live in the U.S., with great restaurants, an active tech and open-source community, cultural amenities from the 3 major research universities in the area, and an affordable quality of life.in the area, and an affordable quality of life. Forbes magazine ranked RTI among top ten best employers for midsize companies. 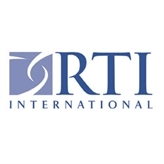 Want to get notified about new jobs at RTI International?